Today is the birthday for my 11-year-old twin boys. Yep, April Fool’s Day birthday. They are numbers 3 and 4 of my 5 boys. Yep, you heard that part right too. 5 boys. If I had gambled on the odds I could have cashed in big time. 5 boys and a set of twins. But I digress. God’s sense of humor. Does He have one? Do you think He has the time for or interest in laughter? I think He probably does. 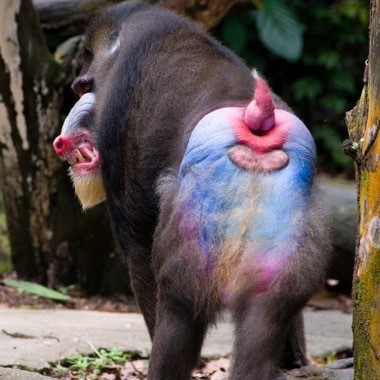 I mean, after all, have you ever seen a rainbow-butted baboon? How could He not have a sense of humor and create that? Humans laugh, in fact, it’s one of the most enjoyable parts of being alive. When you are laughing with friends to the point of crying, when have you ever been happier? You forget life’s worries for a time. We are created in God’s image. I like to believe that laughter is a quality of God that He gives to us. I envision a Heaven full of laughter. My mother-in-law died several years ago. She was one of the happiest people I have ever met. She loved nothing more than to entertain, and laugh, and even better if she could make a boring person laugh. Yes, she worked very hard at making me laugh. I think it was one of her goals in life. And she would tip the scale like no one else. I have never laughed as hard as when she was on a roll. I cannot imagine a Heaven that would hold her if it did not have boisterous laughter. So, back to my subject. My twins. I always thought God played a joke on me, giving me twins. And for them to be born on April Fool’s Day sealed it for me. God was, in fact, laughing in Heaven. Not mean spirited, but just enjoying giving to the point of overflowing. The real jolly Saint Nick. When the doctor broke the news to us during an early ultrasound, I was immediately excited. My wife . . . she bawled. Not because she didn’t want them; she just wasn’t expecting the volume. And she didn’t want our second child to feel like a middle child. But in that moment, I believe God was laughing. Not at my wife (that was my job) but because He enjoyed that gift. He gave us more than we thought we could handle, but He knew better. He knew what joy those rascals would bring us and Him. And these boys are amazing. My best friends. My joy. God knew what He was doing, and He enjoyed doing it. I don’t think we appreciate that God is not a robot. He enjoys His creation. He rejoices with us, He grieves with us, and He gets frustrated and disappointed with us. I get a glimpse of this as a parent. Nothing brings me greater joy than my wife and 5 boys. Nothing frustrates me more than when I see my kids straying from the right path. And nothing hurts more than when they are hurt. All of these emotions, God also experiences. The parent/child relationship models God’s relationship with us. We put Him through those same emotions. Once we grasp that concept–that the emotions we experience as parents are a reflection of what God feels–we should have a new appreciation with the goings on of life. When we sin, we grieve God just as our kids grieve us. And when we enjoy His bounty in laughter, I have no doubt He is laughing in Heaven with us. 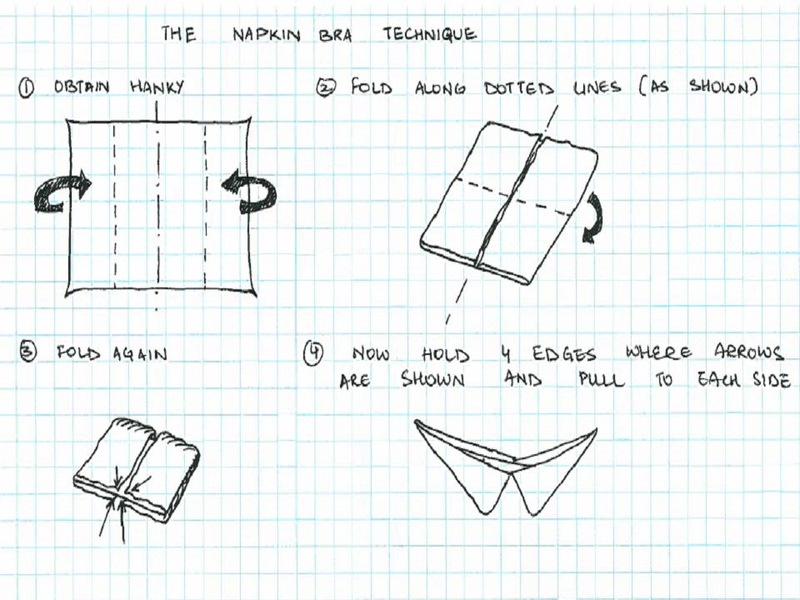 And I know for certain my mother-in-law is in Heaven teaching Jesus how to make napkin brassieres (that was one of her favorite gags). No, that’s not sacrilegious. That’s God enjoying all that He has made. So, happy April Fools Day! God tipped my scale just like my mother-in-law. And I thank and praise Him for His good and perfect gifts. And, happy birthday twins! I know Jesus has His arm around my mother-in-law’s shoulders in Heaven, and they are both looking down, laughing with tears in their eyes as those twins make napkin brassieres, tell jokes, and prank their brothers. The Twins squeezing a friend. God has a sense of humor. He has emotions like we do. When we laugh, He laughs. The smile on the twins’ faces fill Him with joy. We need to focus on making Him laugh more. Next Why Does God Not Reveal Himself? As a father of eight, joyful children, they are definitely the laughter God gave us. Nicely put. 8?! I bow down to the master. Ha! What fun though? I cried when I found out there was more than one too! But my twin boys are also one of the joys of my life. God is good. He is very good! Ray Romano gave a stand up routine on Letterman, right before Letterman launched Ray’s career. He announced to the audience that his wife had recently given birth to twins. The audience cheered. Ray responded that there were a bunch of single people in the audience, because married couples with children would not be cheering; they would be wincing. But then he remarked at how awesome they were, but that he looked for any opportunity to get out of the house. He then asked the audience if anyone needed anything that he could do for them. ANYTHING. I totally get that. Total chaos. At the same time, so fun. One of my twins died half way through pregnancy, leaving the other twin with severe disabilities. Oh, yes. God is good. Apologies. I’m having a rough time at the moment. Sorry, again. No need to apologize. We all have joy and devastation. We praise the highs, and circle around each other during the lows. And it can be very hard to praise God during devastation. What you describe is nothing less than a nightmare, and I grieve with you. Amazing! They are so adorable. Keep up the great job raising them. Absolutely loved this! I am going to share this with my own children (3 boys, 1 girl). Wonderful message. This is so amazing! Love the sense of humor God has and has allowed us to partake in as well! Thanks! I think many Christians have an impression of a scary, always serious and detached God. Yet made in His image, I have to believe our emotions are similar to His emotions. And we definitely know Christ experienced our emotions. Your boys are beautiful. God bless them. How good is it when a Father like you seems to stands up for God and be a good example for his children, now truly, that is doing God’s work. Kudos to you. Thank you very much! They are a handful and can be trying, but it’s a lot of fun. Thanks for stopping by. My sister-in-law is blessed with two sets of twins and when she brought home baby #5, the twin sets asked where the other baby was. I believe that G-d has sent each of my children to either mirror me or teach me fantastic lessons by being the exact opposite of me. And G-d definitely has a sense of humor for all things on Earth are reflected in Heaven. Two sets of twins! Wow! I know exactly what you are talking about with the different personalities. 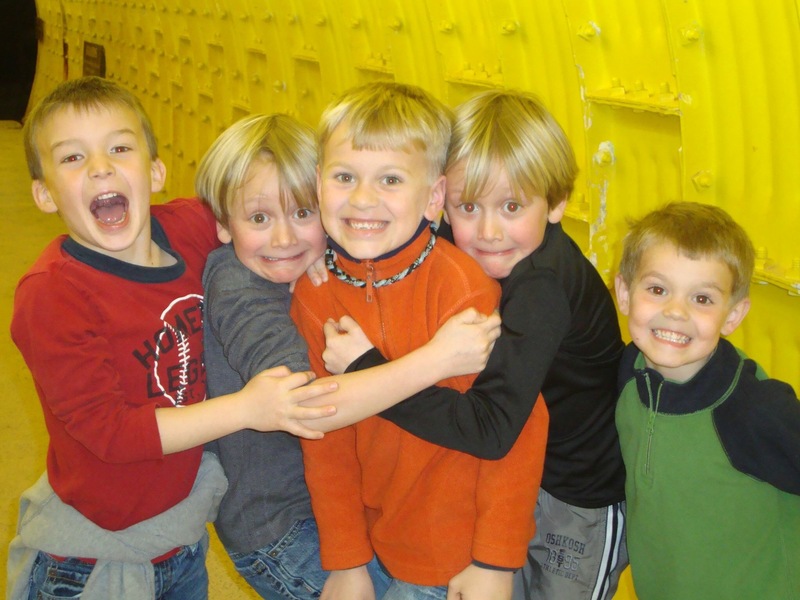 We have 5 boys, and they are all very different, and my wife and I have to respond and interact with each of them very differently. Yes, I do believe laughter is in Heaven. I think many have too stiff and stuffy of an image of God. What a gorgeous family! Yes … let’s laugh … out loud … soak in those memories while we can. I came to this post expecting something a bit different. I’ll risk being a spoil sport in my first comment on your blog (sorry), but you may want this information. Definition of brazier: a portable heater or a barbecue. Definition of brassiere: a woman’s undergarment. I’ll bet you can turn that into something entertaining, however. Ha! I’ll blame it on mobile device hyper-autocorrection. See, all writers need an editor. Thanks for catching that, which so many let slip right by. You’re welcome, DaddyBlitz. How fun to read of the escapades of your bunch! My husband and I are retired foster parents, so it’s fun to be reminded of the cacophony of the little people who once shared our space. Keep up the good work, Dad! Your children are so cute and all look so happy! I love the idea in this post that God has a sense of humour and that there is lots of laughter in Heaven. I am going through a bit of a spiritual crisis at the moment and am not sure whether I believe in God or not but still believe that one of the things I value most in life – my ability to write comedy and make people laugh – is a gift from above or from something other than myself. Without that gift I might have just ended up feeling sorry for myself as I have had a very difficult life with all types of abuse imaginable as a child. But my traumatic past has given me endless material to write about and this gift of comedy means I can entertain people while I am telling my story. Thank you! I also sent you a response on your site. And I’m so glad you discovered your gift of comedy. No twins here, but I certainly understand the joy of children – and grandchildren, and come October, a great grandchild! Lovely post! The fun and frustrations of twins! And God’s humour: as a child I first experienced twins as the sisters of someone in my class. I then managed to collect several sets of twins dolls. And then … when we learned our second baby was actually 2 babies, that was weird! I really wanted a girl this time, and when our second son was born first, I thought, Here we go, three boys! It took half an hour longer before we knew twin 2 was a daughter. 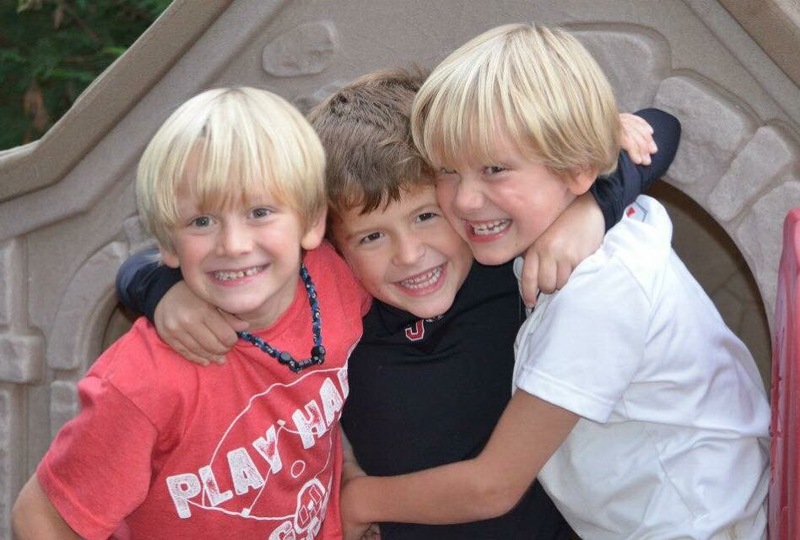 Yep, raising twins is something else: especially when they are different genders… and way different personalities! What a great read on children and family. Rainbow baboons…lol, never thought of that one. God bless you and your beautiful family. Oh, how cute are your twins! I’m always fascinated by twins or triplets or quadruplets…etc. Is that true that what the other feels, the other feels too? Just curious of this saying. Haven’t seen that with ours. They also have very different personalities.